Beach Landscaping has been voted Best of the Beach by the Sun News for landscaping every year since 2011. 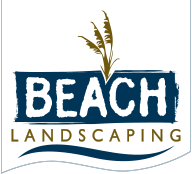 Beach Landscaping is also a very active member of Business Networking International with representation in the Myrtle Beach and Surfside Beach chapters. We have also won several other landscaping awards and accolades, but we don’t want to brag too much about them.